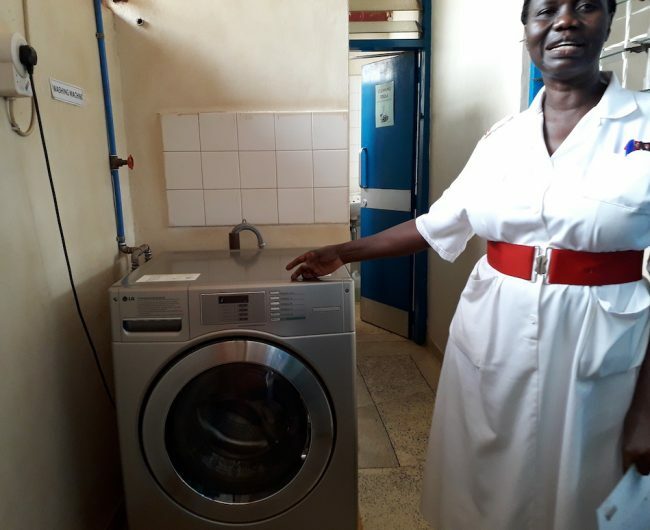 PONT’s Hospital team supports a link between Cwm Taf LHB and Mbale Regional Referral Hospital that delivers life-saving facilities, equipment and training. Doctors, nurses and midwives visit Mbale and we’ve brought Ugandan health staff to Wales. We’ve provided an anaesthetic on-call room and trained an anaesthetic officer. We’ve made labour safer for mums and babies by donating vital signs monitors and surgical headlamps for when there are power cuts. 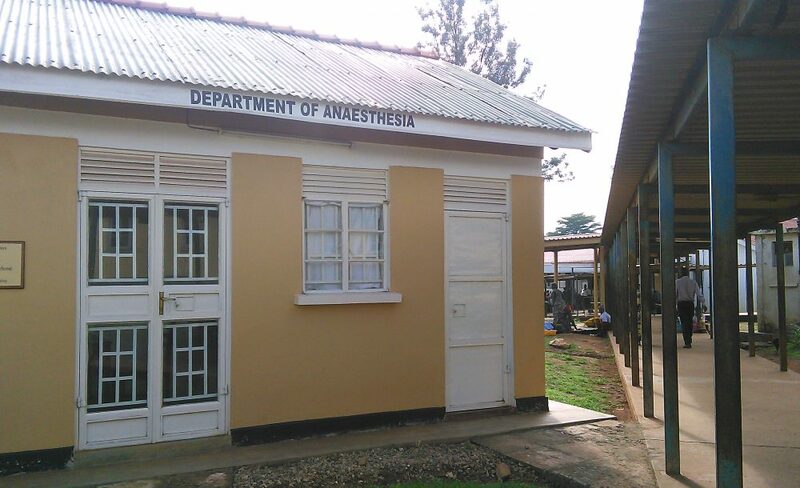 We helped establishthe first endoscopy unit in Uganda outside the capital. Mbale RRH is one of 13 “Regional Referral Hospitals” in Uganda and serves around 4.7 million people. Healthcare in Uganda is very different to what we are used to in the UK. Lives are often lost because of a lack of basic resources. Staff from Royal Glamorgan Hospital and across Cwm Taf work in partnership to improve training and facilities at Mbale RRH. With our Ugandan colleagues, we identify which hospital services are most in need of development. We link a wider community of people who care, by fundraising and mobilising donations of equipment. 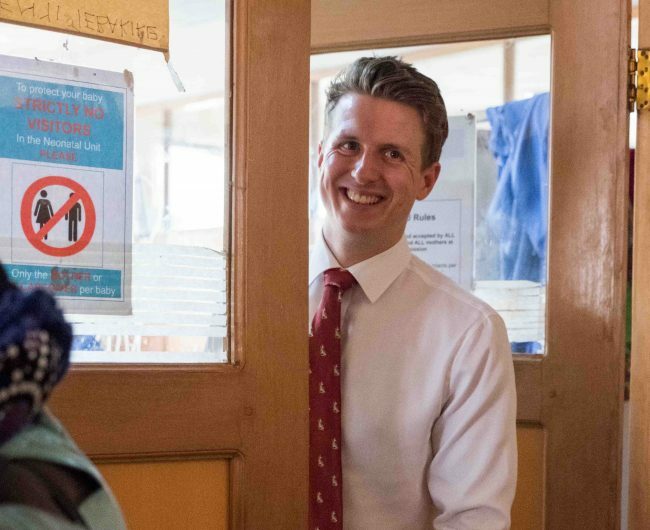 We visit Mbale – and bring Ugandan staff to Wales – to pass on techniques and medical experience by training and working alongside Ugandan healthcare staff. This makes our impact sustainable. We’ve brought laboratory technicians to the UK for training in the maintenance of their equipment as well as doctors and nurses. We learn a lot from the resourcefulness of our Ugandan partners – skilled and dedicated people who often just don’t have what they need to serve their communities. We believe people should have the same life chances wherever they are born. We’ve worked in many areas of the hospital including A&E, Surgery, Radiology and Paediatrics. Many of our projects have focused in the Maternity, Endoscopy and Anaesthesia departments. I have had 3 years of stomach pain so I was very worried that something serious was happening in my stomach. Finally I was able to get the test I needed. Since I have started treatment the pain has completely gone. The PONT Hospital team have exported and installed an endoscopy unit to facilitate a better focus on serious conditions that were previously undiagnosed. Over 1000 endoscopies have now been performed. 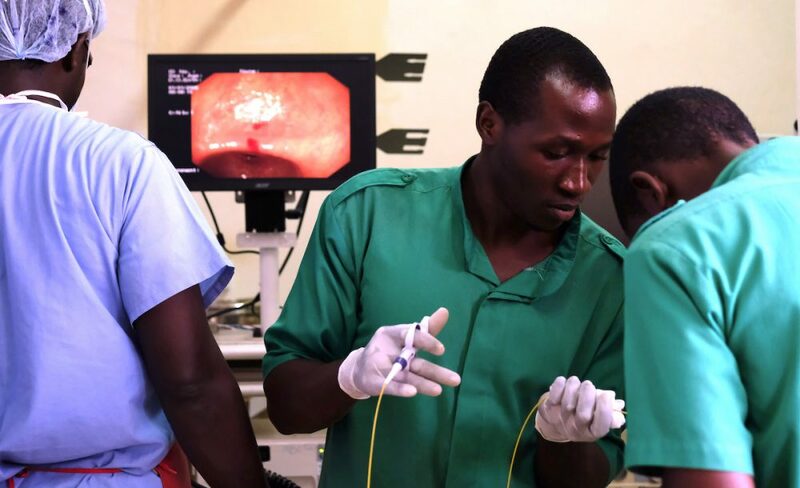 Until 2009 the nearest endoscopy unit was in Kampala, 6 hours drive away. We transformed two empty, run-down rooms into a fully functioning specialist department. An endoscopy is a camera test, whereby a thin tube is passed into the body to inspect the stomach or bowel. We took over two full endoscopy systems, meaning that many common abdominal complaints (including bowel and stomach cancer) can now be confidently diagnosed and treated. A nurse and a medical technician from Mbale RRH spent two weeks at the Royal Glamorgan Hospital learning how to use the equipment before it was air freighted to Uganda and two Mbale doctors travelled to University Hospital of Wales to learn from our trained specialists how to perform the procedure. This major project is a flagship example of what can be done in partnership. Want to get involved as a medical volunteer? There is often the possibility of arranging study leave for a visit to Mbale if you work for Cwm Taf LHB. Can you imagine washing all the sheets in a hospital by hand? In 2013 our hospital team installed laundry facilities in the Endoscopy Unit to lighten this burden on staff. 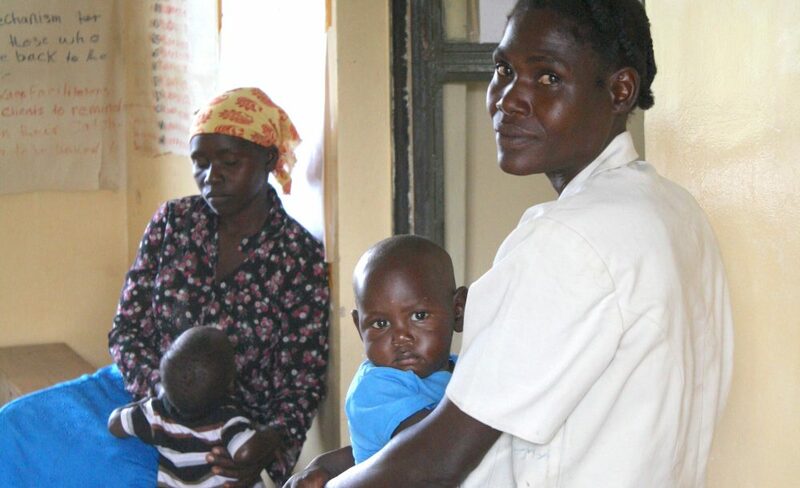 Mbale RRH is also home to Born on the Edge who are helping the hospital develop their newborn care. 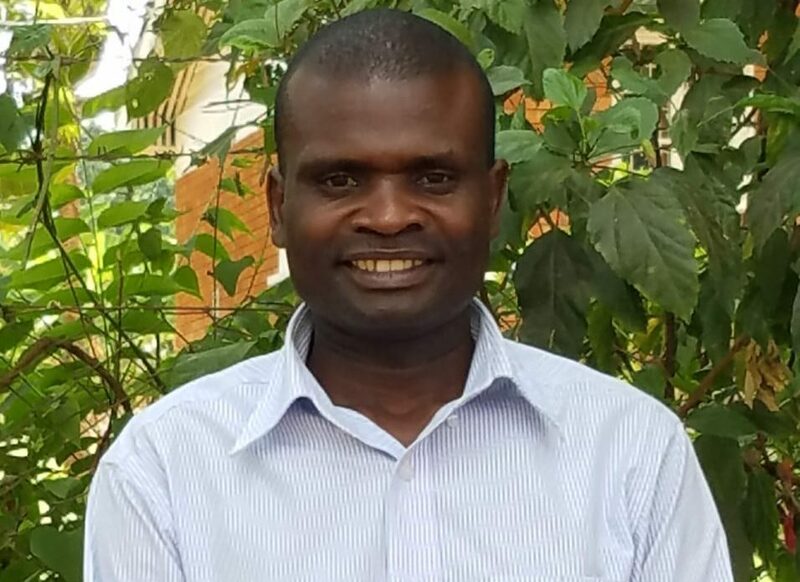 Will you help support PONT’s link with Mbale?